Medicines play a major role in preventing and treating illnesses – but only if they are used wisely and safely. Brigitte Cusack draws on her experience in the area to explain some of the pr oblems and how they can be addressed. As a pharmacist, I have worked in community and hospital pharmacy, conducted medication manage­ment reviews in residential aged care facilities and for people living in the community. I provide education on quality use of medicines to consumers, general practitioners, pharmacists, other health professionals, hospitals and community organisations. Medicines (also known as medi­cations) include over-the-counter medications, prescribed medications, vitamins, herbal medicines and homeopathic medicines. Medications are available in a variety of forms such as tablets, capsules, liquids, creams, ointments, gels, patches, injections, eye drops, inhalers, suppositories, pessaries and nebulisers. 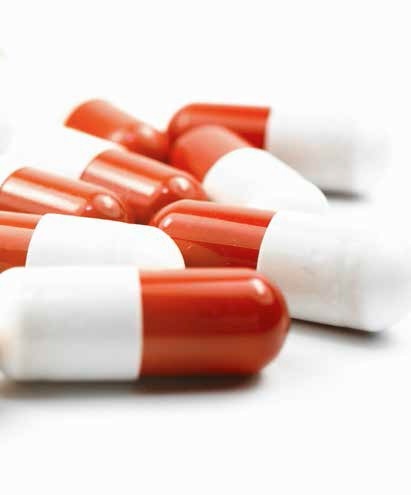 According to the Australian National Safety and Quality Health Care Standards (NSQHS) 2012, over 1.5 million Australians are estimated to experience an adverse event from medicines each year. This results in at least 400,000 visits to general practitioners and 190,000 hospital admissions, which represent 2-3% of all admissions. As many as 30% of unplanned geriatric admissions are associated with an adverse medicine event, approximately 50% of these admissions are considered potentially avoidable. Older people, people who are taking multiple medicines and people who see a number of different doctors are more likely to experience a medication-related problem. In the absence of recent Austral­ian guidelines I have used material from the Institute for Safe Medication Practices Canada. Their definition of medication management refers to patient-centred care to optimise safe, effective and appropriate drug ther­apy. Care is provided through collab­oration with patients and their health care teams. Medication management also includes many aspects of the process from prescribing, dispens­ing, administering and storage of the medication. Medications stored in their original bottles/packaging are easily identified by the brand name, generic name (refers to the active ingredient of the medica­tion), expiry date, batch number and dispensed label from the pharmacy. The dispensed label lists the name of the dispensing pharmacy, the prescribing medical doctor, the dispensed date, how much and how often the medication needs to be taken, whether there are any repeat scripts left and any extra cautionary labels (eg whether it needs to be stored in the fridge; may cause drowsiness; or avoid taking this medicine within so many hours of another medicine). Having all the information assists if there is a recall of the medicine or if trying to identify medication. Some information may be packaged with the medicine and Consumer Medicine Information (CMI) can be requested from the pharmacy dispensing the medications. Even if you have been having a medi­cine for some time you should review the information to see if anything you are experiencing may be caused by the medication or its interaction with other medicines. People should be encouraged to main­tain their independence for as long as possible, including managing their medicines in a safe and effective way if they are able. An assessment will assist in determining the competency of the client for self-administration. Registered nurses are authorised to administer medicines only when an authorised prescriber has prescribed the medicine, according to the rele­vant state legislation and policies. If a care worker or carer finds that a consumer is having difficulty in administering their medicines there is a need for a formal assessment by a health care professional (eg GP, pharmacist). Care workers should alert their supervisor rather than try and address a medication issue them­selves. When someone returns from a hospital stay, an assessment of whether they will be able to self-ad­minister their medications is impor­tant. Possible medication issues may occur if an ex-patient takes both their pre-hospital medications as well as their newly prescribed different branded hospital discharge medications. Care should be taken to avoid problems at this point using the information sources listed on the following page. NPS MedicineWise www.nps.org.au is an independent, not-for-profit and evidence-based organisation providing practical tools to improve the way health technologies, medicines and medical tests are prescribed and used. It provides information on different health conditions and medicines. Healthdirect www.healthdirect.gov.au provides a range of free health services on behalf of the governments of australia including information on different types of medication. While some people can manage with medication in labelled bottles, others may need to use a Dose Administration Aid (DAA). It is a device or packaging system for organising doses of medi­cines according to the time of admin­istration. There are many different types of DAAs and ideally they should be packed by a pharmacist. Medications unable to be packaged into a DAA include eye drops, patches, insulin, some tablets/capsules need special storage conditions (eg fridge, darkened bottle/box), creams, liquids. The DAA is only useful if the person taking the medication or the authorised health care professional (ie registered nurse) can administer the medications appropriately from the DAA. AssADM]N]STRAT]ONeA]DSs having the ability (vision, fine motor skills, hearing, dexterity) and under­standing (cognition, health literacy, culturally and linguistically diverse background) to manage the DAA is important. If the DAA packaging is difficult to access, medications can be acciden­tally left inside the packaging despite administration. A simple device, a pill bob, can be used to break the foil plastic packaging of the DAA to obtain the medications. Again there is a need to assess whether the person using a DAA can use the pill bob. Some DAAs may have missed doses with self-administration. 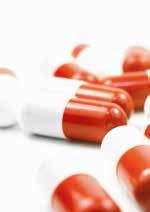 Sometimes the medications may be taken out of DAA in a different way to that recom­mended. For example some people might take the pills randomly or have different cultural ways of dealing with the DAA such as instead of correctly taking the medicine out from left to right across the rows, they might take it from right to left or from the last row to the top row. An explanation and follow up assessment is needed to ensure the DAA works as intended. Service workers who notice prob­lems with DAAs should report them to their supervisor and not assume they know what is happening. Medication Reviews offer an assess­ment of the ability of a consumer to manage their medications (eg administration, compliance, storage). Anyone can ask a GP for a medication review and consumers are encouraged to have their medicines reviewed by members of the health care team (eg GPs, pharmacists). Home Medicine Review (HMR,also known as DMMR) – anyone can request a HMR from the GP for a patient. The GP then prepares a HMR Referral to the patient’s preferred pharmacy or accredited pharmacist. The accredited phar­macist conducts the HMR in the home and sends the HMR Report to the GP. The GP prepares an HMR Plan with the client. Diabetes MedsCheck – as above for MedsCheck, except the patient must have Type 2 Diabetes. Medicines play a major role in preventing and treating illnesses – but only if they are used wisely and safely. Hopefully this overview explains some of the problems and what can be done about them by service providers, carers and/or the medication user. Brigitte Cusack is Program officer-Medication Management, Eastern Sydney Medicare Local. This article was adapted from a presentation she made to the Eastern Sydney HACC forum. ◄ Is Housing Affordability a Foreign or Domestic Investment Problem?